Lake City Silver World is published every Friday and sent to readers in Lake City and across the United States. 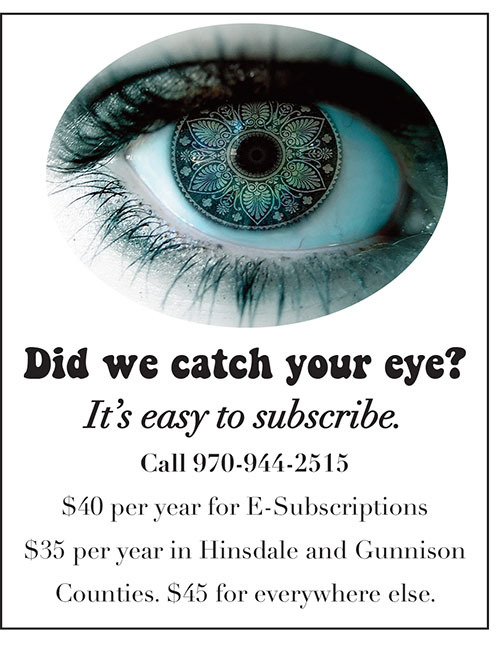 Our newspaper covers all the news and events in Lake City and Hinsdale County and features local photographs, happenings, features, stories and historical tales. Silver World regularly covers news involving Town of Lake City and Hinsdale County, mining, Lake San Cristobal, marketing and tourism, economic development, environmental issues, recreation, Lake City Community School, public health, wildlife issues, historical preservation and much, much more. We also feature stories of interest on local businesses, residents and the community.